Over three tons of winter clothing arrived from America meant for expelled families from Gush Katif. Clothing drives were held for warm winter clothing for families who have been cut off from their clothing and posessions. While Israel shipped over 90 tons of relief supplies for Katrina evacuees, its own citizens expelled by their own government have been left without basic necesitties. People who have not forgotten their brothers and sisters, Jews and non-Jews, have stepped forwards and donated clothing, time and money to help. Barry Chamish is a UFO researcher, conspiracy theorist and a Jewish holocaust denier who has become affiliated with some on the right, an affiliation that is entirely one sided because Chamish has always been out for himself and only himself. Of all the contempt, apathy and condescension directed at the refugees of Gush Katif, Chamish achieves a new disgusting low of hate and greed. Now Chamish sinks to a new depth repeating his message and continuing to advocate against any donations to expelled families while smearing those same people. Let us look at these 'beggars' that Chamish sneers at, who according to him are now the lowest of the low, criminals and junkies. Deprived of money and basic necesitties, communities have stayed together and stuck together caring for each other and each other's children chipping in for generators and tents and sharing cooking duties. Atzmona completed a temporary school building and some residents are making plans to rebuild their towns on their own. The secretary of the former Alei Sinai refused to release the names of residents for charity requests because it would damage their dignity. These are Chamish's beggars. Compare this to New Orleans, compare it to refugees in Africa and Indonesia, compare it to the Palestinians that Chamish has called for reducing them to. In Chamish's warped worldview, as in Sodom, charity is evil. The charity that has unified the refugees is evil. To give warm winter clothes to children now living in the cold of the Golan Heights is dooming them. Jews helping their fellow Jews is evil. Not quite though. In a display of shameless greed that even shocked me, after the cry not to donate to the expelled families of Gush Katif, in the very same post; Barry Chamish called for donations...to himself. As much disgusting displays as I have seen in the last year, the level of cynicsm involved in Chamish demanding donations for himself and condemning donations for refugee families is still shocking. There are depths to which people sink to that are almost incomprehensible. After smearing the people who were thrown out of their homes and lost everything as criminals, junkies and human refuse who shouldn't even be given warm winter clothing, Chamish goes into a long convulted tale involving crooked publishers, the mafia (yes the mafia) and loan sharks and cries that he's on the verge of bankruptcy and in danger of his life and needs money and solicits donations. It continues to be mindboggling to me how anyone who claims to be a Jew, who claims to have integrity, who claims to care about Israel and Yesha would associate themselves with such bottomfeeding filth. His work on the Rabin assasination does not begin to excuse everything he has done afterwards. It does not excuse his Holocaust denial and his affilation with Neo-Nazis which has been extensively documented including his affiliation with Rense.com, a neo-nazi site which claims Jews are out to take over the world and supports Ernst Zundel, his accepting an invitation to a Holocaust denial conference to sell his books there and his claims that the Holocaust was funded and executed by Jews such as the Rothschilds. He has obstructed the fight against disengagement with conspiracy theories, false rumors and random libels accusing anyone who disagrees with him of working for Shabak or the New World Order. He was right about Rabin but wrong to get in bed with Neo-Nazis, to smear the expelled refugees of Gush Katif as drug addicts and criminals, to promote Holocaust denial, to solicit money for himself while smearing those who really need it, to disgrace all of us with his very presence. It's past time to bring an end to Barry Chamish's presence on the right. After a previous round of mocking the refugees, Chamish wrote to promote his own books; "I will be at your rally in Jerusalem. I will set up my table and hope my books fall into the right hands. Don't anyone ask me to dance." Don't dance Barry, just go. I wish I had seen this for what it is. I agree, an excellent expose on Chamish. Chamish's words, activities, views, and alliances are beyond contempt. I'm dumbfounded though. Why when others, Jews and non-Jews are pitching to help the refugees of Gush Katif does he harbor such contempt? Does he think Israelis cannot suffer hardships or experience poverty? A government's idealogy or actions should never get in the way of humanitarian aid to civilians--EVER. Charity is based on human need and basic human decency. Chamish seems to be grossly lacking the later. Has he never heard the phrase, "there but for the grace of G-d go I?" ANYONE can be thrust into poverty or want against his or her will--a government decision; bad economy; natural disaster. We linked to your article from our front page today at American Daughter. 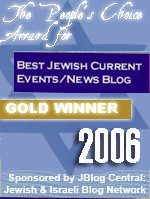 Chamish is sometimes interviewed on arutz7, a radio station. A patriotic station , almost the only radio station to stand up for the rights of settlers. The author 'sultan' lies when he says chamish is a holocaust deniar. You can see online extensive discussion between chamish and his readers whether to go to confront the holocaust deniars. His aim is to spread the truth in all avenues. It is extremely important that this include anti-semitic sites. Since man of the jews that those sites claim are part of a jewish conspiracy, are actually - according to chamish's information - destroying Israel. They are 'jews in name only'. So, his material is very relevant , overlaps and corrects much of their information. He provides another worldview. His goal is to make his information widely publicised, to make a living and to save israel. And whoever hosted his articles - great. There are no Bad consequences to that. To conclude that Chamsih is an anti-semite, or holocaust deniar, is to lie. He wants the jews of gush katif to return, and he wants them to be strong, he is frustrated. Many of his readers disagree with him there, but his motives are not hatred of jews. His motive is for the jews of gush katif to return there. He wants them to protest in that way. Obviously none of you have read chamish. He has his own website now. 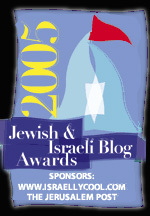 www.barrychamish.com and he is working tirelessly to expose that israeli intelligence murdered yitzchak rabin . He wants to remove the corruption in the israeli govt. Not to slur jews. Chamish does not merely allow his articles he reprinted on anti-semitic sites, he links to these sites and praises them, such as Rense.com. Quotes from known anti-semites appear on his website to promote his latest book. Chamish has no attachment to Israel or Gush Katif, his allegiance is to conspiracy theories and his fellow group of conspiracy theorists many of whom if not most are anti-semites. It's about time people like you who defend and promote him woke up and realized that. Well, I see that indeed you are a bunch of selfsame, arrogant, miniscule carricatures that can`t even read one single Chamish report till the end. Otherwise you`ll not claim this kind of nonsense about him. Btw - you are falsely claiming, that he is a Holocaust denier, this is really serious insult, don`t you think so? You are writing crap here, you know? And that is what you have in your head(s). I suppose it is not offense, because you are regularly writing similar things about people like Chamish. I don't expect anyone other than the moderator will see this, but I'm writing it anyway. It is almost impossible to get information out into the Jewish community that is in any way detrimental to Jewish leadership. So, how does one clean up correction that exits in the Jewish community as well as everywhere else. Do you get the information out thru sources that love to publish antisemitic material or turn your back on the corruption you know exists, knowing that it only weakens Israel and the Jewish community? Chamish stuck his neck out where others, the huge majority, have ignored the corruption, fearing repercussions from the people around them. He has made mistakes in his ongoing research, but are his mistakes greater than those who do nothing but praise the Jewish establishment and Israel?